Robert Kupiecki serves as Poland’s Ambassador to the United States. Kupiecki obtained his master’s degree in history with distinction and a PhD in Political Science at Warsaw University. He specializes in international relations. He is also a graduate of the National School of Public Administration and the Geneva Centre for Security Policy. After graduation in 1991, Kupiecki worked as junior lecturer at the Historical Institute of the Polish Academy of Sciences, where he studied Modern History. After the internship, Kupiecki worked the Ministry of Foreign Affairs in 1994, moving through the ranks from expert to Head of Divisions and Deputy of Department. He was appointed Deputy Ambassador Permanent Representation of Poland to NATO and Western European Union (WEU) in Brussels from 1999 to 2004. 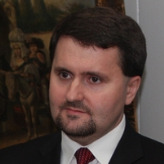 From 2004-2008, Kupiecki was director of the Security Policy Department. He speaks English and Russian.